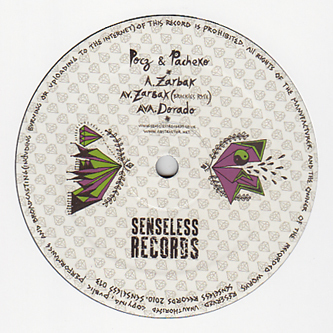 Wicked dubstep/funky ruffige from Venezuelan's Pocz and Pacheko backed with a Brackles remix. 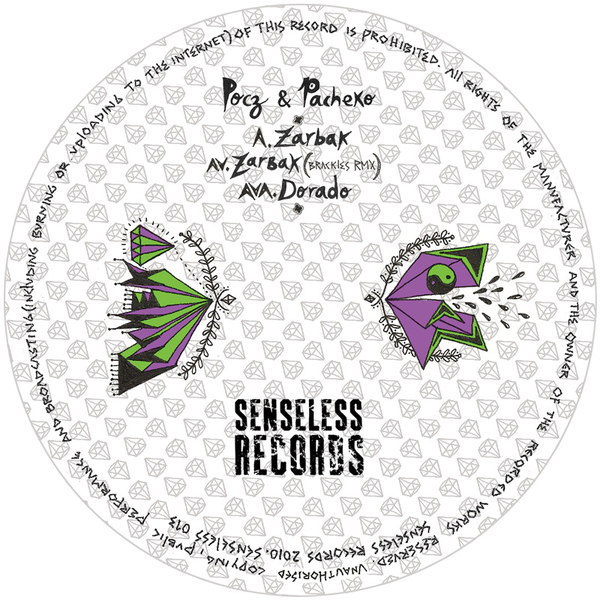 Following a killer contribution to the recent Shockout release, Pacheko and Pocz run with crisp, soca-indebted percussion and bubbling subs splashed with colourful carnival-tek melodics on 'Zarbak'. The Brackles remix actually sounds a little lacklustre in comparison, minimising the drums into skittering patterns and adding some some interesting drones. 'Dorrado' completes the set with a tangy garage-meets-IDM flex. Fans of Shortstuff, Von D or Cardopusher must check this!